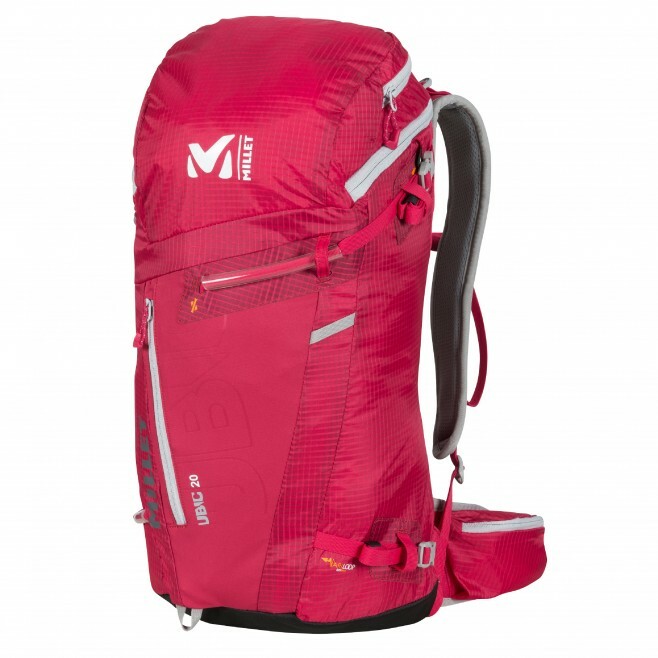 Tested and approved by the mountain leaders of the Chamonix Guides Company, the UBIC 20 is the quintessential alpine backpack - always up for a fast hike, ski tour or snowshoe excursion. Ultra versati le, it can be used summer and winter thanks to the Variloop, an ingenious system of straps arranged diagonally, which lets you easily secure all types of gear, as per your activity. Its minimalist 20L capacity is suited to day trips, when you like to venture out with all the necessary kit to block out unexpected bad weather. Tailored for mountain adventures, the UBIC 20 is focused on comfort and freedom. It has sport ergonomics and a streamlined compact body. Its breathable heat-molded back, padded shoulder straps and super-wraparound hip belt adjust your load very efficiently during alpine disciplines. Hydration system compatible, with built-in removable waterproof rain cover.